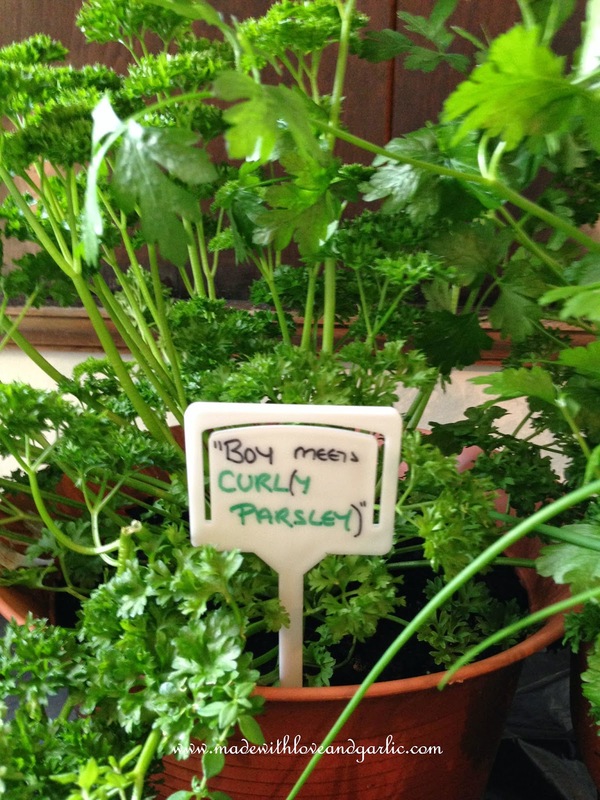 We recently attended a wedding with a difference, thrown by some very artistic friends. The event was to be held in the beautiful English countryside. An intimate affair with fairy lights in the trees and a vegetarian bent. The invitation read “no gifts” but the couple wanted their friends to get involved in their day and so invited everyone attending to help our with something, whether it be making some food or serving drinks on the day. 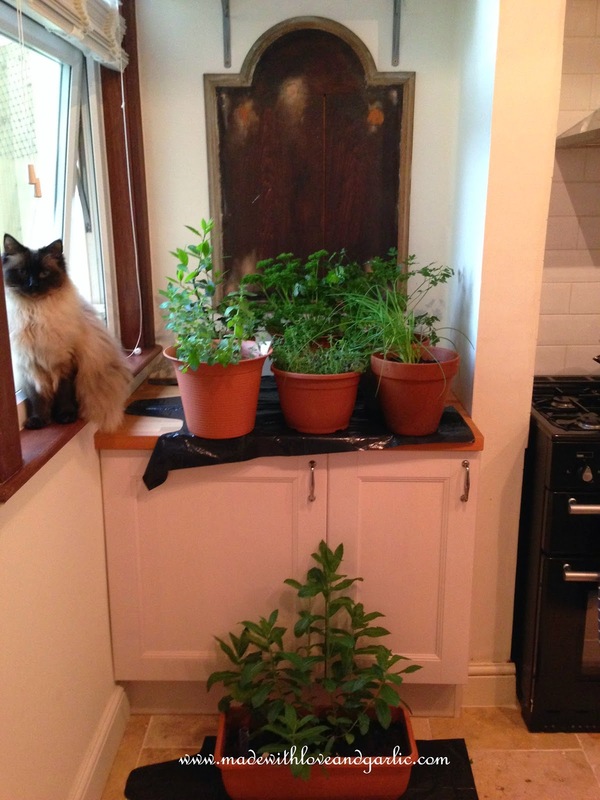 Being aware that I was going to be far too large at eight and a half months pregnant to help on the day, I wrote and offered to grow them a herb buffet for the wedding breakfast. 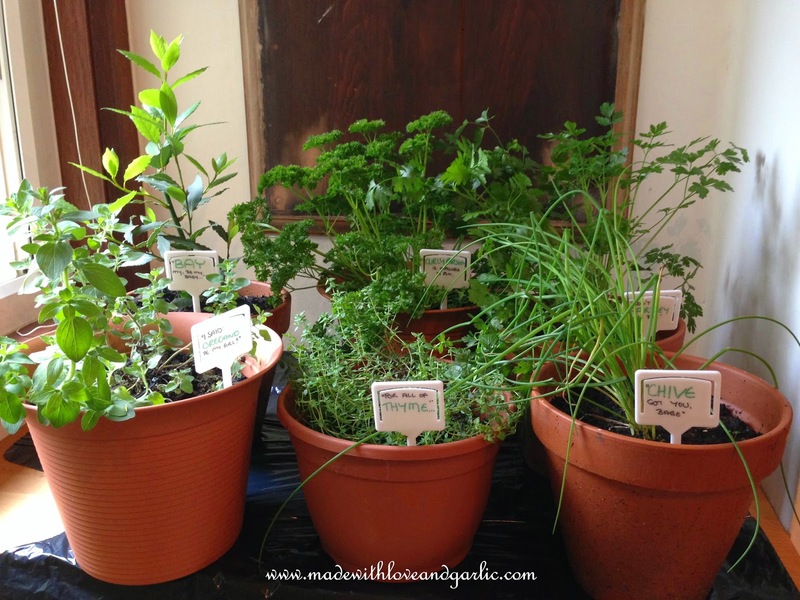 They accepted and so I grew seven large pots of herbs that could double as either a herb buffet or herb centrepieces that their guests could then cut fresh garnishes from for their food. The puns (which I regard as the highest form of wit) weren’t too easy to pull together as I wanted to keep music or love references involved where I could but we managed to get some passable ones and they appeared to go down well. 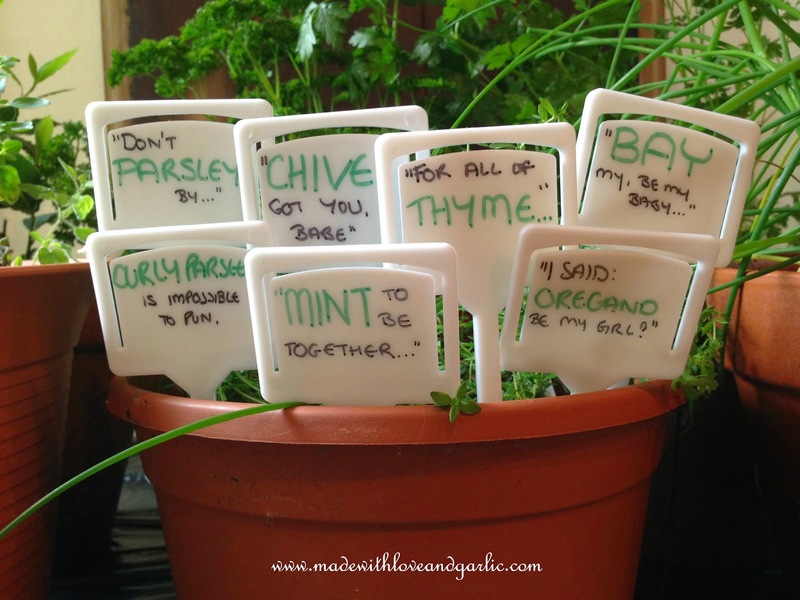 So there you have it, a wedding present or wedding favour of a herb buffet. 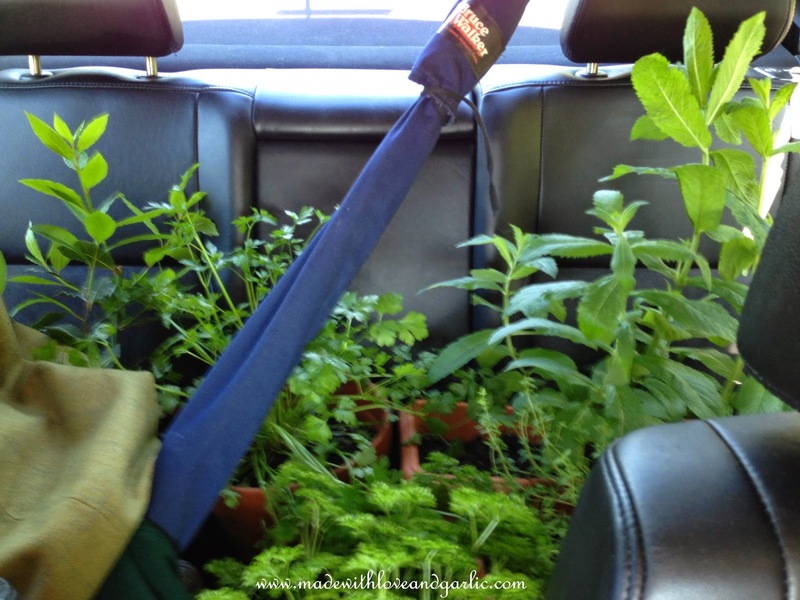 Herbs in the car – it was a very pleasantly scented journey!